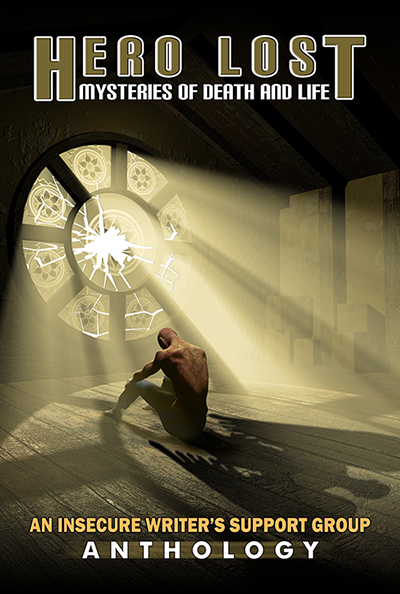 Today, I’m interviewing one of my co-authors from our fantasy anthology Hero Lost: Mysteries of Death and Life, hosted from The Insecure Writers Support Group and graciously published via Dancing Lemur Press in May of this year. The theme for this year’s anthology was a lost hero, and it’s been fascinating to discover how twelve different writers approached all the many things those two words invoked. Caestu, an ordinary fisherman, disobeyed the principles which guide his people’s way of life. Fortunately, the mark of disobedience is hidden beneath his glove. Unfortunately, others know what he has done. Now he must decide whether to stay with his people or leave to search out others like him. Welcome, Ellen Jacobson, author of The Silvering. Hi, Ellen! What sparked your idea of a lost hero? I woke up in the middle of the night after having a really vivid dream about a strange world where mysterious things happen to my main character, Caestu. At first, I didn’t necessarily envision Caestu as a lost hero, but as the story unfolded, it became clear that he had a tough choice to make – conform to what society expects of him or rebel against its control and oppression of others. The ending. I couldn’t find a satisfactory way to wrap things up, and I’m still not satisfied with the ending. I think I have a lot more of the story to tell and having to cap it at 5,000 words forced me to end it prematurely. 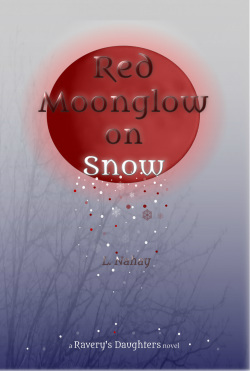 Perhaps I’ll turn it into a novella or novel one day and give it a proper ending. I started out writing a cozy mystery (which I’ve been working on for ages), but I’ve always had a ton of ideas for science fiction/fantasy stories. The Silvering was my first attempt to write in that genre and I really enjoyed it. I love the idea of not being constrained by how things are supposed to work in the real world and the freedom to imagine new worlds, cultures and peoples. Is there a theme to your writing as a whole/What is your writing strong point? Because I’m a novice writer, I can’t say that there is a theme or strong point. I’ve only completed one thing so far – my story in the anthology. Ask me again in a few years. Hopefully, I’ll have typed “The End” on another manuscript and can maybe identify a theme or strong point. I can never answer questions like this. It’s way too hard to narrow things down to just one book. What I can tell you is that there are some books that I’ve re-read, which I guess makes them favorites in a way, such as anything by Octavia Butler or Iain Banks, Frank Herbert’s Dune, Margaret Atwood’s The Handmaid’s Tale, C.S. Lewis’ Narnia books, Isaac Asimov’s Foundation series. Agatha Christie and Dorothy L. Sayers’ books are also fun to re-read. I had actually started writing my story before the anthology theme was announced, so it didn’t really grab me in that sense. I do think it’s a great theme and I’m looking forward to reading everyone’s take on it. They’re not allowed to sing in Caestu’s society, so he wouldn’t have a theme song. Actually, I don’t know if they’re allowed to sing or not, but I can see that being prohibited. This may be something I explore if I turn The Silvering into a novella or novel at some point. Connect with Ellen via Facebook, her blog, or Google+. Posted in Hero Lost: Mysteries of Death and Life.Tagged anthology, book, dancing lemur press, ebook, ellen jacobson, fantasy, hero, Hero Lost, heroes, insecure writers support group, lost, May 2017, novel, read, Short stories, short story, write, writers.